Our school buildings and grounds are very often the first things people see, and we are very fortunate to have such an able and diligent caretaker who keeps everything in 'tip-top' shape. 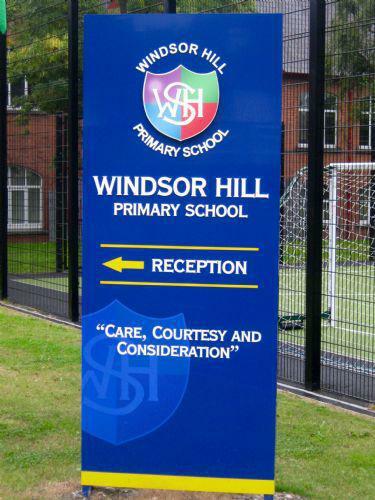 Previous developments, such as playground fencing and our new MUGA Pitch, have greatly enhanced our school site and facitilties and we are pleased to have been able to develop this further over the past few months with new signs at the front of school. We hope that that these signs will help to promote a greater sense of school idenity and school community as well as serving the practical purpose of helping people find their way around. Some more photographs of the changes below; and note out new ECO Flag!